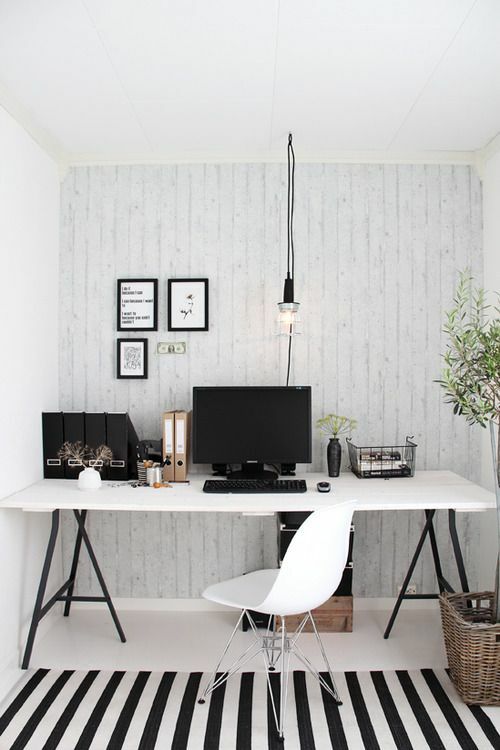 Setting up a home office can be a very simple task. From a well-lit corner of your living space to a dedicated spacious room. 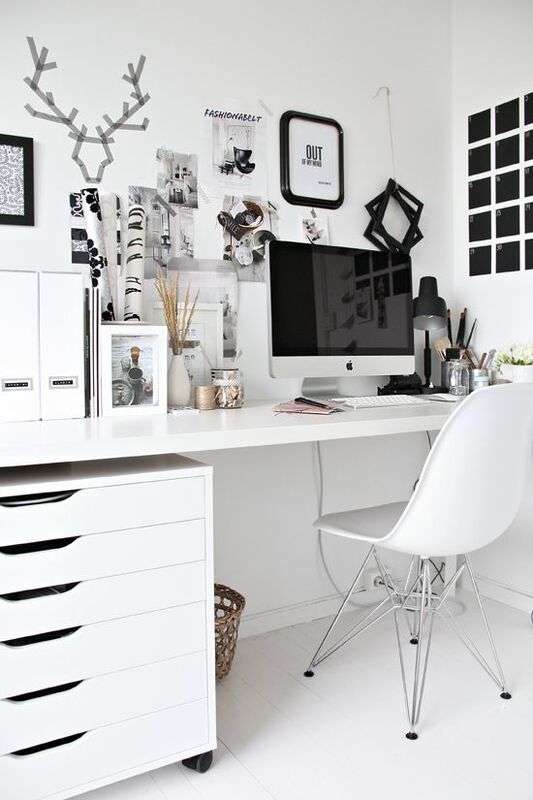 Here is some beautiful inspiration to get you in the mood for working from home. Here's my pick of how to dress up your office space. Top row: Let Liv, trestle desk Company & Things, $355. Let Liv, Karlsson minimal alarm clock in black, $40. 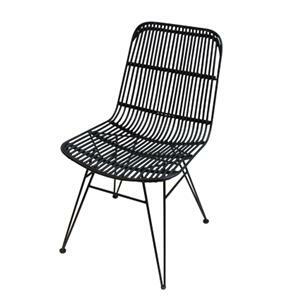 French Country Collections, Vertice black chair, 439. 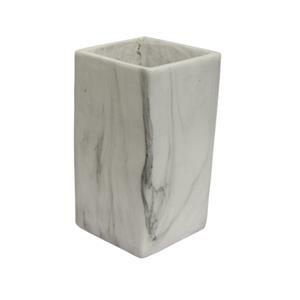 French Country Collections, tall marble planter, $30. Republic Home, honeycomb bookshelf $1,795. Second row: Republic Home, Sari Dakota carved chest, $2,995.00. French Country Collections, Schnitz the Schnauzer bookends, $59. Citta Design, Obi woven bamboo, silk and cotton rug, $1,790. Macy Home copper Z lamp $86. French Country Collection, oval wire panier baskets, $115 for the pair. Find the perfect desk, height and size, and invest in a comfortable chair. These are everything in an office space, without comfort and correct posture you will not enjoy working there. Create a space you like being in, warm and sunny with plenty of fresh air. Surround yourself with beautiful things that make you happy, and inspired, and most of all encourage productivity. Keep things tidy, you will amazed how quickly an office get's cluttered. 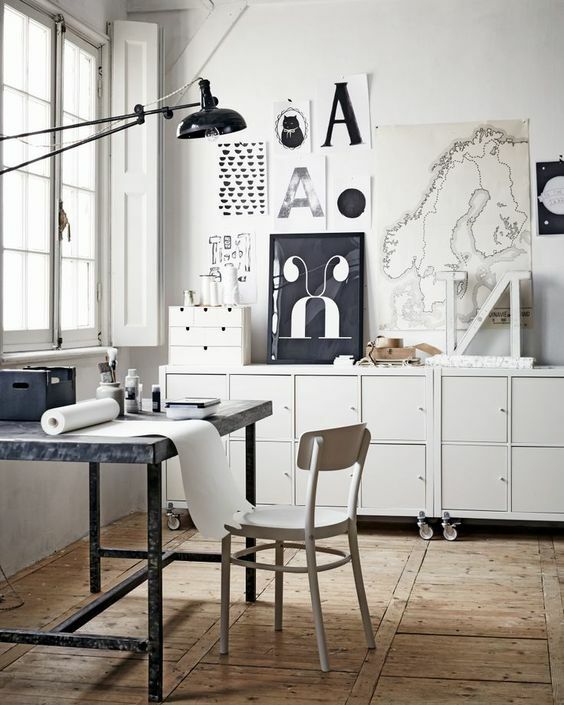 Even in the paperless, world, most of us live in, accounts, samples and office supplies take up lots of desk space, invest in some good storage. Don't rely on the room's existing lighting, make sure you have a stylish, yet functional lamp. Adding two different kinds of lighting, a task light for close up work, and a pendant light for ambience will balance the room when working both day or night.